Ever have a hard time finding just what you want, but something very similar? 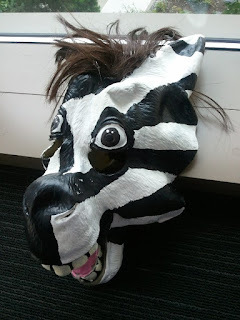 I had a friend who wanted a Zebra mask but had a hard time finding one that looked nice. 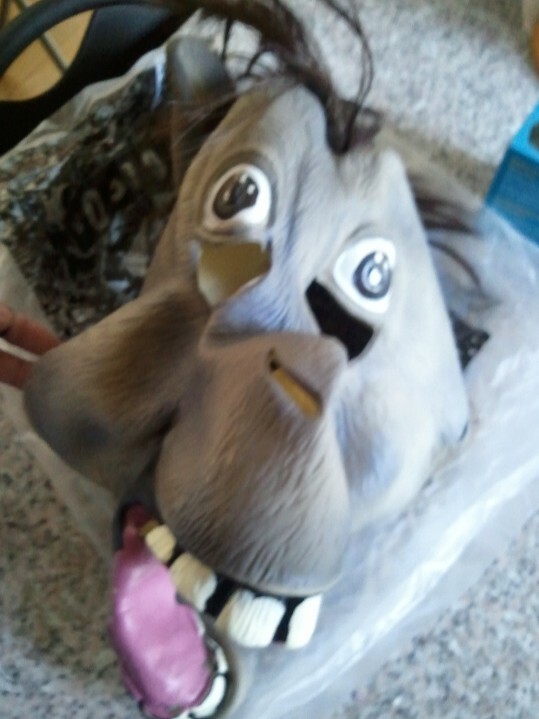 But he did find a donkey mask he like. 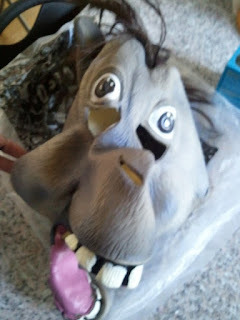 The mask scared me a bit, but I was able to do the job with some acrylic paints.